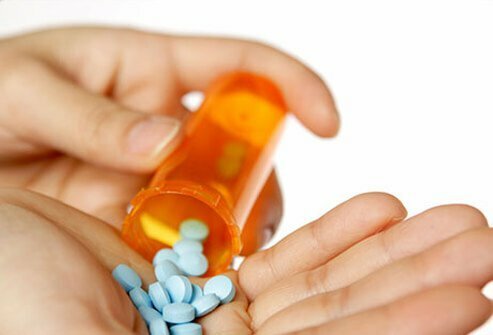 Prescription drug abuse involves taking a prescription medication that isn't yours or taking your own prescription medication in a way that differs from your doctor's instructions. It's a common misconception that abusing prescription medications is safer than taking illegal street drugs. Abusing prescription medications is very dangerous, and can even be deadly. The potential to overdose on a prescription medication or become addicted is very real. About 16 million people in the U.S. abuse prescription medications. In general, men abuse prescription medications more than women. The exception to this is among people age 12 to 17. In this group, females abuse prescription medications more than males. 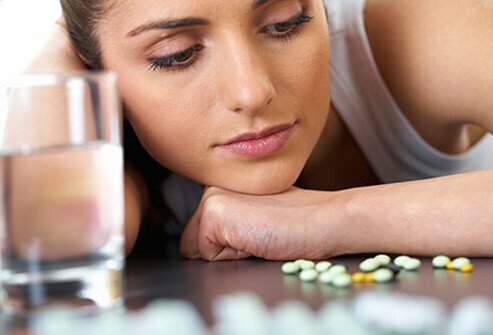 An estimated 20% of high school students admit to taking a prescription drug without a doctor's prescription. Prescription drug abuse rates are highest during the teens and 20s, although rates are increasing among those in their 50s ("baby boomers"). Some people mistakenly believe abusing prescription drugs is safer than taking street drugs. That's not the case. 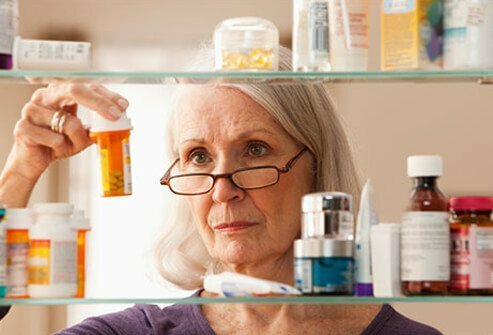 Abuse or misuse of prescription medications can lead to tolerance, which refers to the body's adaptation to the long-term use of a substance to the point where it no longer produces the desired effect. The result is that a person needs a higher dose of the substance to achieve the same response produced previously by a lower dose. Withdrawal refers to symptoms that occur after stopping or decreasing the dose of a substance that has been used for some time. Withdrawal symptoms can range from mild to life threatening. Requiring more of a substance to achieve the desired effect (tolerance) and experiencing negative symptoms when a substance is decreased or stopped abruptly (withdrawal) are features of physical dependence. Addiction is a brain condition that refers to intense seeking, craving, and using of a substance, even though it is harmful. Physical dependence is often, but not always, a component of addiction. Pain killers, tranquilizers, and stimulants are the most commonly abused prescription drugs. Anabolic steroids are also misused and abused. Over 50% of all prescription medications for nonmedical use are obtained from a friend or relative. Medications are sometimes taken via a different route (for example injecting the medication instead of taking it orally as indicated on the label) for the purpose of getting high. When people abuse prescription medications (depending on the type), they swallow, inject, smoke, snort, or chew them. They may even take them as suppositories. Taking prescription medications along with alcohol or other prescription, over-the-counter, or street drugs can intensify the dangers. Sharing needles when injecting prescription medications, or any other drug, greatly increases the risk of HIV/AIDS, hepatitis, and other blood-borne diseases. Pain killers called opioids are by far the most commonly abused prescription medications. These medications work by decreasing the perception of pain. Medications in this class include hydrocodone and acetaminophen (Vicodin), oxycodone and acetaminophen (Percocet), oxycodone (OxyContin), fentanyl (Duragesic), hydromorphone (Dilaudid), morphine (Avinza, Kadian), and codeine. Opioid misuse/abuse is responsible for about 75% of overdose-related deaths. That's more than any other prescription or illegal drug. Opioids affect reward centers in the brain. People take them recreationally to experience a sense of euphoria. When abused, opioids can lead to sedation, dizziness, weakness, sweating, and more. Just one high dose of an opioid can depress breathing and lead to coma, or even death. Lowering the dose of or abruptly stopping opioids may lead to withdrawal symptoms including restlessness, vomiting, diarrhea, pain, and chills. People abuse tranquilizers because they are "downers" and the drugs make them "zone out." Tranquilizer abuse can lead to lethargy, uncoordinated movement, nausea, confusion, and more. When combined with alcohol, tranquilizers can depress breathing and lead to death. Lowering the dose of or abruptly stopping opioids may lead to anxiety, sleep problems, and mood swings. Quitting tranquilizers abruptly, termed going "cold turkey," can result in seizures. Stimulant medications increase heart rate, blood pressure, and blood sugar levels. They also open up the airways and constrict blood vessels. Stimulant medications such as methylphenidate (Concerta, Ritalin) and dextroamphetamine (Adderall, Dexedrine) are prescribed for people with attention deficit hyperactivity disorder (ADHD) because they paradoxically promote calm and the ability to focus in these individuals. These medications work by increasing brain levels of dopamine. Some people abuse stimulants believing they can help boost cognitive performance. They hope to feel increased energy and exhilaration. Stimulants can lead to appetite reduction, nervousness, insomnia, heart attacks, seizures, and strokes. Some stimulants can cause hallucinations, paranoia, hostility, and psychosis. Withdrawal symptoms of stimulants may include fatigue, mood and sleep changes, increased hunger, and extreme restlessness. In one study, about 3% of high school students admitted to taking steroid pills or injections without a prescription. In other studies, it's estimated 1% to 6% of athletes’ abuse steroids. Males use steroids more often than females. Anabolic steroids may be prescribed to treat low testosterone and some forms of anemia. The term "anabolic" refers to processes that build up tissues in the body. Anabolic steroids promote muscle growth. Common anabolic steroids include testosterone gel (AndroGel), methandrostenolone (Dianabol), boldenone (Equipoise), stanozolol (Winstrol), nandrolone (Deca-Durabolin), and oxandrolone (Oxandrin). People abuse steroids in order to "bulk up" and build larger muscles. They also hope to boost athletic performance. Anabolic steroid abuse may be associated with irritability, aggression, acne, baldness, infertility, heart attacks, cholesterol changes, high blood pressure, liver damage, and cancer. Men who abuse steroids may suffer testicle shrinkage and breast growth. Women who abuse steroids may develop male characteristics. Withdrawal symptoms of steroids may include mood and sleep changes, reduced appetite, fatigue, and restlessness. There are many symptoms and signs of substance abuse. They often vary depending on the substance being used/abused. In general, changes in sleep, mood, appetite, weight, behavior, and personality accompany drug use. A person who uses may appear unkempt and have tremors, seizures, or slurred speech. People with drug problems often have trouble at work or in school. Friends, family, and coworkers may notice and complain about problem behavior. A person with a drug problem may have unusual emotional outbursts, lack motivation, or engage in suspicious behavior. Drug use increases the likelihood of injuries and accidents. Prescription drug abuse is responsible for 60% of overdose-related deaths. Opioid painkillers are responsible for the most deaths followed by benzodiazepines. About 1.4 million emergency room visits can be attributed to prescription drug abuse each year. Men are twice as likely to die of an overdose compared to women. People between the ages of 45 and 49 have the highest death rates from drug overdoses. More than 23 million people in the U.S. age 12 or over need treatment for substance abuse. Unfortunately, only about 10% of this population receives treatment. About 30% of people in substance-abuse treatment facilities are under the age of 30. Successful treatment for addiction often includes a combination of behavioral and pharmacological interventions. Treatment works best when tailored to the individual's unique substance problem and situation. Detoxification ("detox") is the first step in addiction treatment. 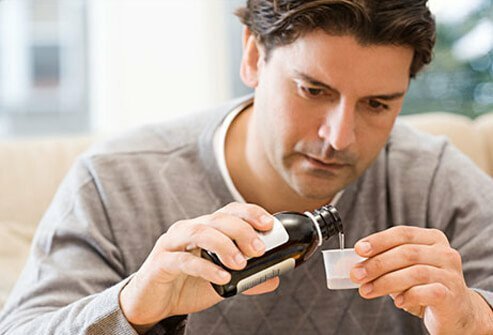 Certain medications may be used to ease the process and reduce withdrawal symptoms. Behavioral therapy for drug addiction teaches a person how to function in the world substance free, how to avoid people and places that promote drug use, and how to handle cravings and potential relapse. Behavioral therapy may involve individual, family, or group counseling. 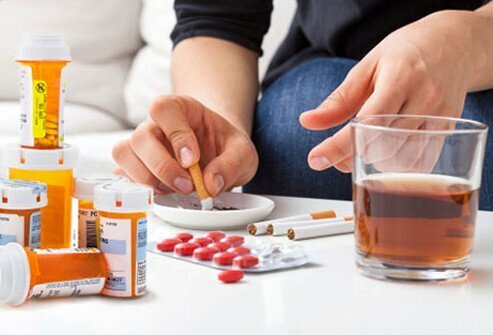 The Substance Abuse and Mental Health Services Administration (SAMHSA) offers services to help you locate treatment for substance abuse and other problems. The National Drug and Alcohol Treatment Service provides information about counseling, support groups, and treatment programs in your area. Call 1-800-662-HELP (4357). The National Suicide Prevention Lifeline is a crisis hotline for suicide and other problems, including substance abuse. Professionals are available to speak about your personal concerns or those of a friend or loved one. The service offers mental health treatment referrals. Call 1-800-273-TALK (8255). Prescription drug abuse prevention starts with you. Only take prescriptions medications as directed by your doctor. Never give your prescription medications to anyone else. Never take a medication that has been prescribed for someone else. 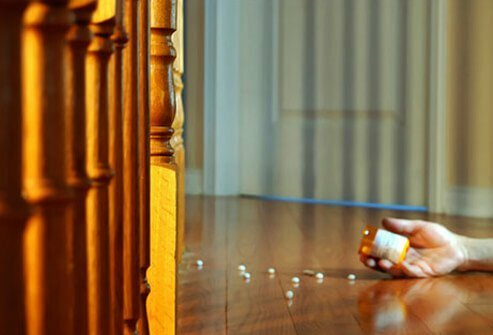 Talk to children and teens about the dangers of abusing prescription drugs and safeguard medications in your home. Ask your pharmacy if they participate in take-back programs to safely dispose of unwanted and expired medications. American Society of Addiction Medicine (ASAM): "Definitions Related to the Use of Opioids for the Treatment of Pain: Consensus Statement of the American Academy of Pain Medicine, the American Pain Society, and the American Society of Addiction Medicine." Centers for Disease Control and Prevention (CDC): "Drug Overdose in the United States: Fact Sheet." 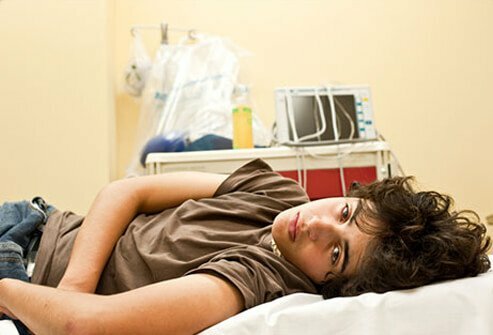 Centers for Disease and Control (CDC): "Youth Risk Behavior Surveillance - United States, 2009." National Council on Alcoholism and Drug Dependence, Inc. (NCADD): "Learn About Drugs: Signs and Symptoms." National Institute on Drug Abuse (NIDA): "Anabolic Steroids." National Institute on Drug Abuse (NIDA): "Anabolic Steroid Abuse." National Institute on Drug Abuse (NIDA): "Commonly Abused Prescription Drugs Chart." National Institute on Drug Abuse (NIDA): "DrugFacts: Nationwide Trends." National Institute on Drug Abuse (NIDA): "DrugFacts: Treatment Statistics." National Institute on Drug Abuse (NIDA): "Prescription Drug Abuse." National Institute on Drug Abuse (NIDA): "Preventing and Recognizing Prescription Drug Abuse." National Institute on Drug Abuse (NIDA): "Principles of Drug Addiction Treatment: A Research-Based Guide (Third Edition)." National Institute on Drug Abuse (NIDA): "Principles of Effective Treatment." National Institute on Drug Abuse (NIDA) for Teens: "Drug Facts: Prescription Drugs."